Flexible working, bonuses and benefits: what's average in the recruitment sector? We surveyed nearly 50 Financial Controllers in the recruitment industry and asked them what their business offered them outside of their base salary. We then compiled the data and used the results to establish the industry average across the sector. Over 56% of recruitment businesses offer their Financial Controllers the option to work from home, with nearly 1/3 being allowed to work from home at least once a week. 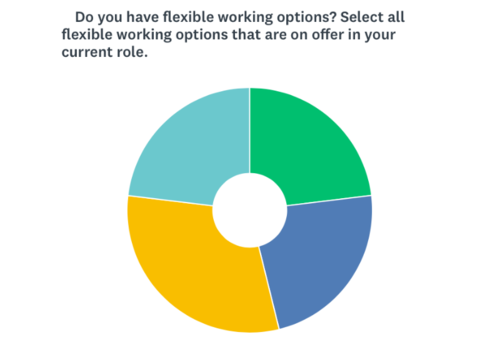 On top of this, nearly a third of recruitment businesses offered their Financial Controllers flexible working hours. The result? If your Financial Controller isn't allowed to work from home at least once a month (or more frequently) you are not matching industry standard. If you are not offering flexible working hours to your Financial Controller, you are in the majority. If you want to be attracting the top talent, however, you should be! Surprisingly, nearly 1/5 of recruitment businesses aren't offering their Financial Controllers a bonus. This is shortsighted considering the clear ROI that is produced by bonusing the person responsible for controlling your finances! 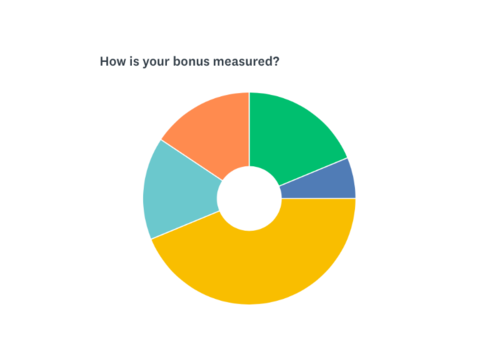 If you define and quantify the bonus and also measure it against the company performance, you should never see a loss. Find out more about how best to measure your Financial Controller's, click here! The result? If you are not bonusing your Financial Controller or their bonus is less than 10%, you are offering below industry standard. If you are offering a bonus between 10%-20% then you are hitting industry standard, anything above that and you are exceeding it! It should be noted that the Financial Controllers surveyed were all from SME recruitment businesses, and it is common in large businesses to offer 20% or more. As expected, the vast majority of Financial Controllers' bonuses were measured half on their own performance and a half on the company's performance. This is the most recommended route to go down as it encourages your Financial Controller to have a vested interest not only in their own success but also the company's success as a whole. Just over 6% of Financial Controllers had no clearly defined targets for their bonus. This can be both demotivating for the employee and also doesn't allow you to measure your ROI. Result? 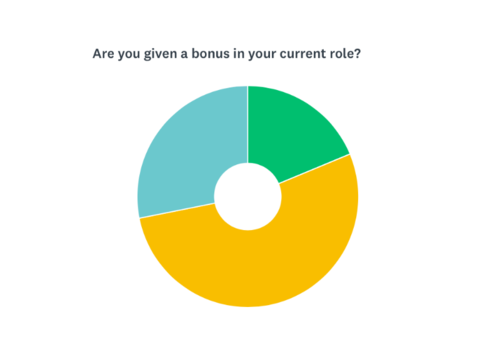 If you are measuring the bonus based on both the company performance and your Financial Controller performance, you are in line with the industry average. Often recruitment businesses when making their first finance or support hires, make the mistake of giving them the same contracted hours as their sales staff. This should not be the case. Recruiters are, generally speaking, motivated by commission day, making their next deal and being top of the leaderboard. Sales often come hand-in-hand with longer hours, but finance does not. 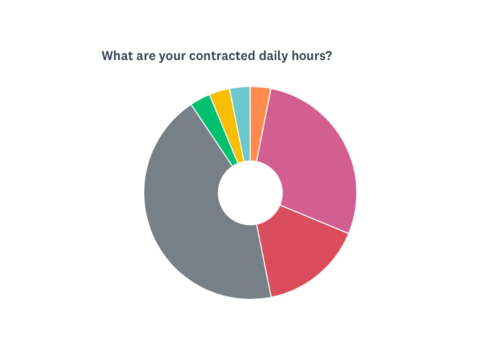 Your Financial Controller will naturally stay later (often later than the recruiters) during month-end and project work (such as system implementations), but they should not have the same contracted hours as your sales staff day-to-day. The results? The vast majority of Financial Controllers worked 8.30am-5.30pm, followed by 9am-6pm. So, an 8-hour working day is industry average (plus a lunch hour). If you are offering a 7.5-hour working day (plus lunch) then you are above industry average, in the top 15%. Disappointingly, over 59% of recruitment companies do not include their finance professionals on the sales incentives. This encourages a divide between the finance team and the rest of the business and creates a gap in company culture. Worse still, over 37% of recruitment companies do not include their finance team on any incentives whatsoever. If you want to attract top talent, you need to be offering your finance team the chance to be incentivised by the fun, vibrant lifestyle that comes alongside the fast-paced environment of the recruitment sector. You also should want them to be an integral part of the company culture. The result? 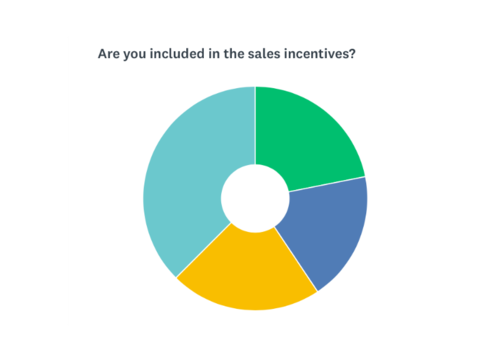 62.5% of recruitment businesses offered their finance team a place on incentives, whether that be on the sales incentives or in their own separate team incentives. If you are not offering this, you are below industry average. Holiday days are a contentious issue, and the results can be swayed due to the amount of holidays days often reflecting someone's tenure within a business, although I think that the results do reflect my knowledge of the market and what does tend to be offered. The results? 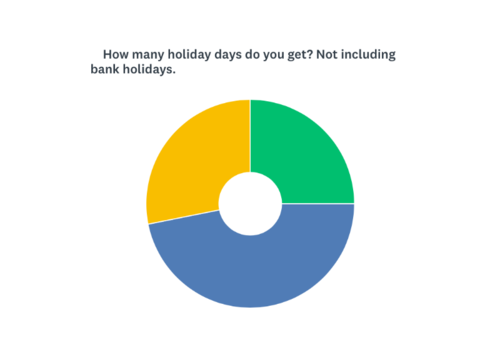 Between 24-26 days (not including Bank holidays) is the clear majority for Financial Controllers, and is industry average. Benefits are a perk in any package offer and are expected in roles at the level of a Financial Controller. The results were illuminating and followed a clear pattern. The businesses who didn't offer flexible working also tended to offer limited to no benefits. Whereas the companies with flexible working options for their Financial Controllers also tended to have extensive benefits packages. The result? Half of Financial Controllers were offered a death in service benefit (which surprised me! ), over 66% were offered private healthcare and 80% were offered a bonus. To be hitting the industry average, you need to be offering a few extra perks alongside the salary and bonus! As anyone in the recruitment sector knows, if you want to attract the top talent you need to be offering the best packages. Interestingly, I asked all of the Financial Controllers surveyed what one thing they would change about their current role/company to improve it and not one person mentioned their salary. 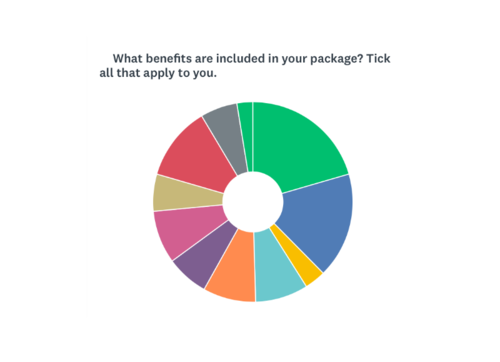 43% said that wanted to improve flexible working, 30% said that they wanted finance to be better integrated with sales (including being included on the incentives), and 12% wanted to improve the way that their bonus was measured (to make it clearer). To have a look at our latest Financial Controller roles, click here!